The man once known as Arthur King continues his tale. 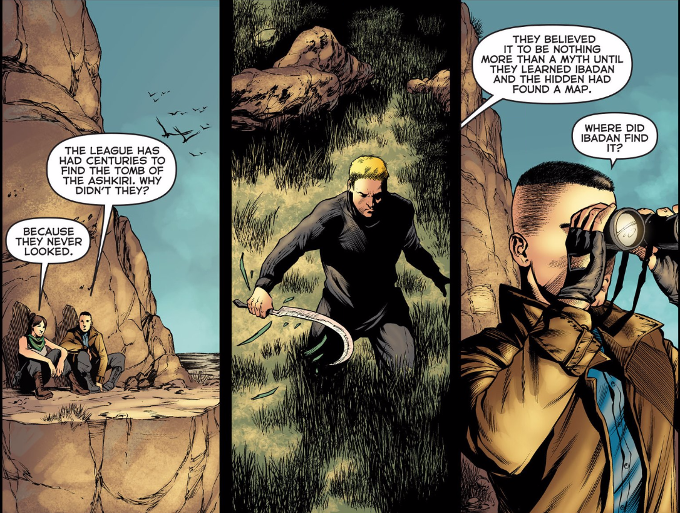 It is a story of romance and intrigue, as he describes once searching for a long lost tomb as a member of The Hidden - a group with a lineage as long as that of The League of Assassins. Sadly, The Dark Archer has lost what momentum it had. And it didn't have that much to begin with, given that this story is set in between Seasons 3 and 4 of Arrow. We already know that Merlyn survives this story! A larger problem is that John and Carole E. Barrowman - in their efforts to craft a more impressive origin story for Malcolm Merlyn - have begun throwing in more material than they can possibly hope to build on. A key example of this is the revelation that animal-telepathy powers are something that exist independent of the rules regarding metahumans and magic thus far explained in the mythology of the DCTVU. Thankfully, the artwork is as strong as ever. 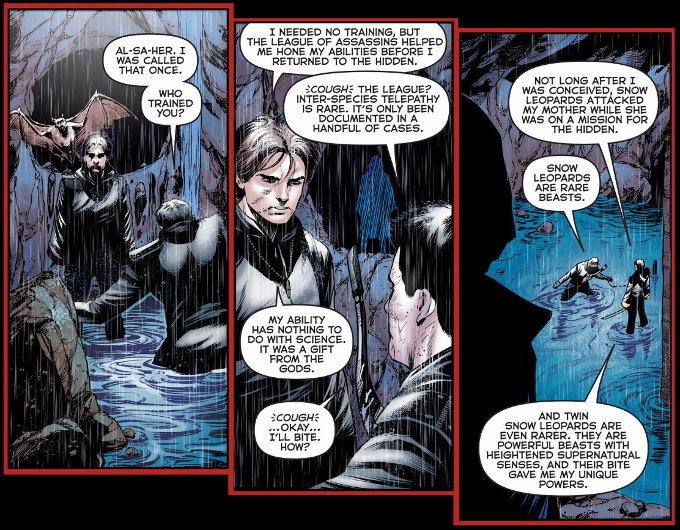 Daniel Sampere delivers the same quality penciling that made him a fan-favorite on Batgirl and Green Arrow. Juan Albarran's inks find the perfect balance between dark and light. And Kyle Ritter's colors are perfectly chosen throughout.